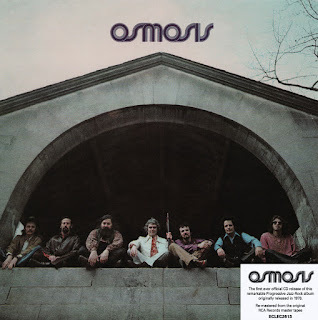 Hailing from the Boston area of the USA, Osmosis was a seven-piece group fronted by the legendary saxophonist and flautist Charlie Mariano and also featured Bobby Knox (vocals), Andy Steinborn (lead guitar), Danny Comfort (bass), Charlie Bechler (keyboards), Lou Peterson (drums) and Bobby Clark (drums, percussion). 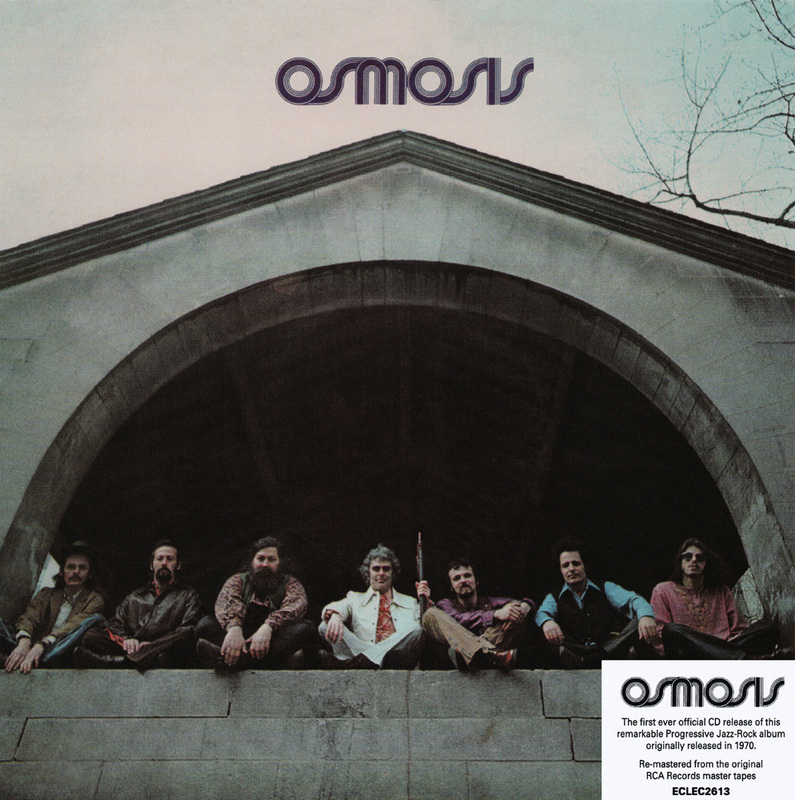 On stage, Osmosis were a powerful band, featuring two percussionists. In the studio the group were brave and experimental, arguably becoming one of the first true Progressive bands to emerge in the United States. Their sole album can be compared to the work of British groups such as Van Der Graaf Generator, Soft Machine or King Crimson, whilst also revealing a more jazz orientated side to their character. 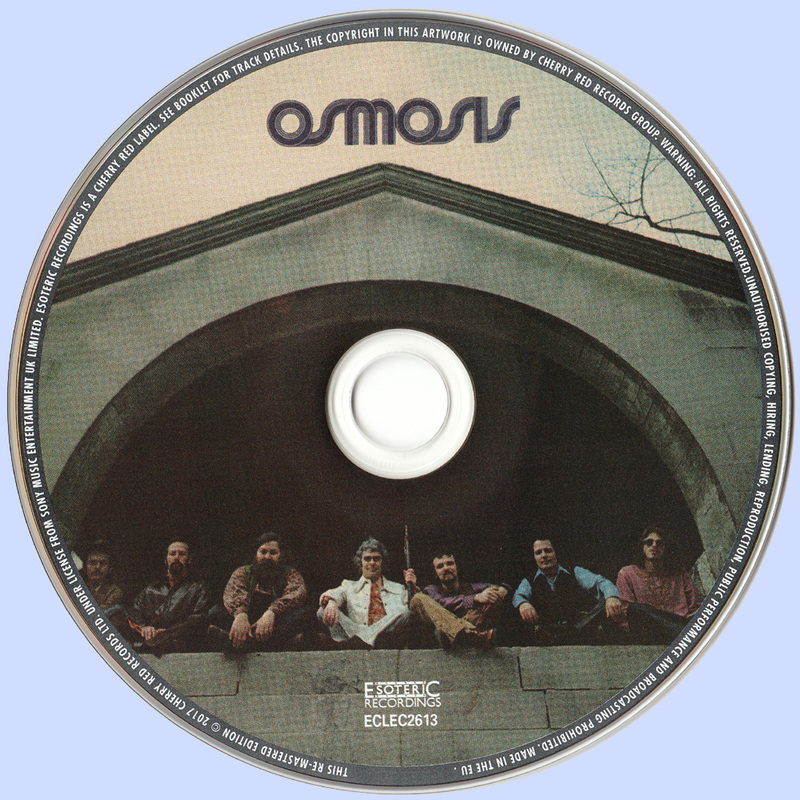 Long overlooked, Osmosis has been re-mastered from the original RCA master tapes. The booklet features an essay by Sid Smith featuring an exclusive interview with guitarist Andy Steinborn. This remarkable album was a fusion of early Progressive and Jazz Rock and was released by RCA Records in 1970.